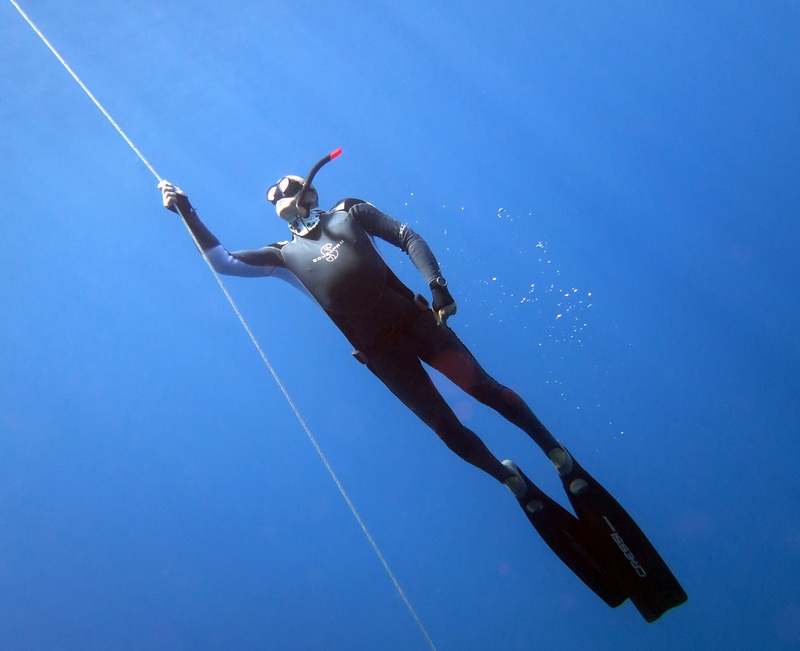 Freediving is a beautiful sport giving you an extatic feeling of freedom when under in the blue. Do you have experience and want to join for a daytrip, we'll take you to some lovely sites to practise or enjoy the underwater scenery. 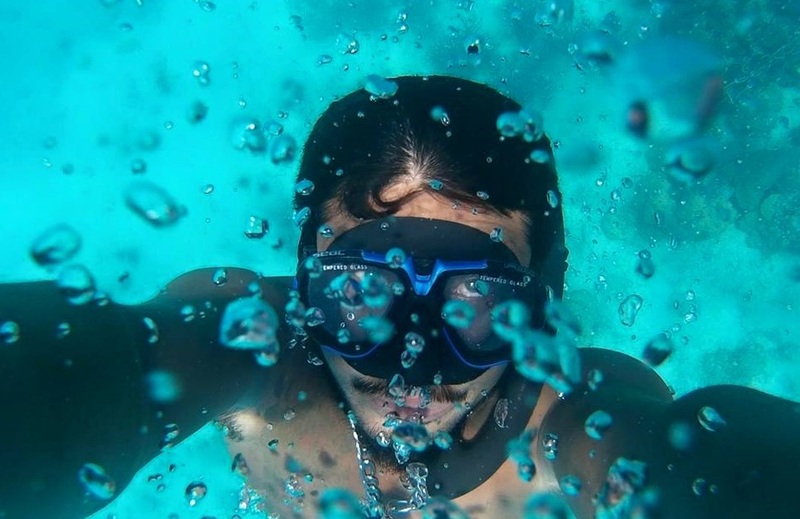 It can be a dangerous sport however, if not following the right procedures and we do not recommend to go freediving if you do not have the right training or license. If you do have experience and license to freedive, then we offer daytrips with a guide or instructor, in case you travel with 2 or more freedivers you can join the trip with your buddy and share a wonderful experience. If you are a ''Solo'' freediver we can organize you a buddy, whether with one of our instructors or guides. Who can train with you on the line in free imersion, constant weight with or without fins and share some of their experience with you. Or just buddy up and go diving around beautiful exotic coral reefs. With our wooden boat we go and explorer either on the local divesites or in the Koh Rang national park. If you have a buddy freediver then you are ready to join our trips to the local sites on Koh Kood or for some relaxed coral dives to Koh Rang National park.